A smorgasbord of merchandise awaits guests at the Epcot International Food & Wine Festival now through Nov. 12, 2018. Throughout the celebrated 75-day event, guests will have a chance to meet their favorite celebrity chefs, try a new Food & Beverage Pairing in the Festival Center each Friday through Sunday, and get their gourmet groove on at nightly Eat to the Beat Concert Series shows. This year, special event merchandise invites “foodies” to bring home merchandise that is useful around the kitchen. From tabletop to kitchen products, artwork on many cream-and-wine colored items show Chef Mickey Mouse exploring the Festival. 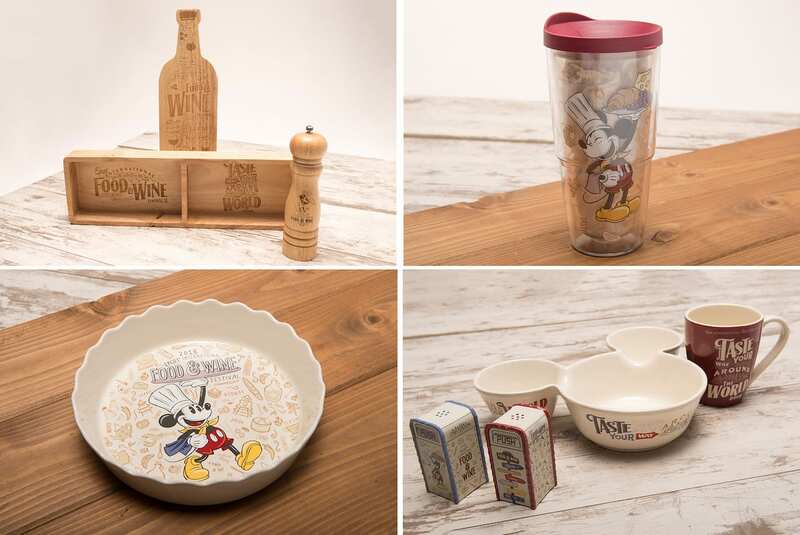 New merchandise includes a ceramic pie plate, wooden pepper mill, bottle-shaped cutting board, and a serving dish that gives a nod to the one and only Mouse. Beloved artwork from last year’s event returns on new merchandise. 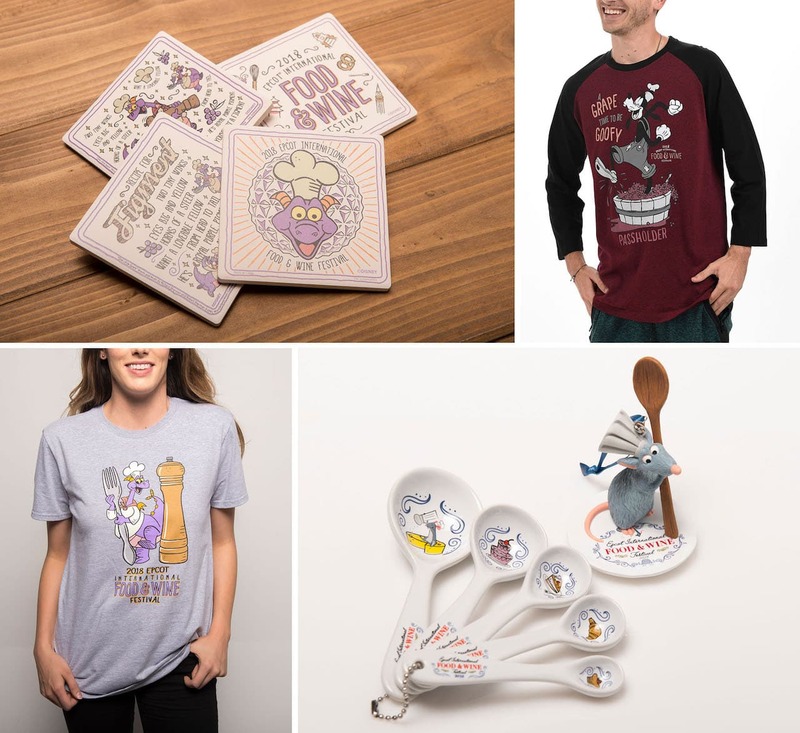 Foodie Figment shares his culinary love on apparel, drinkware, and coasters; while Chef Remy from Disney•Pixar’s “Ratatouille” appears on aprons, kitchenware, ornaments and more. “The [Figment and Remy] merchandise was a tremendous hit with guests last fall, so it was important we include them in this year’s assortment. The Remy-themed measuring spoons look adorable, and they are useful for would-be chefs,” continued Cathy. 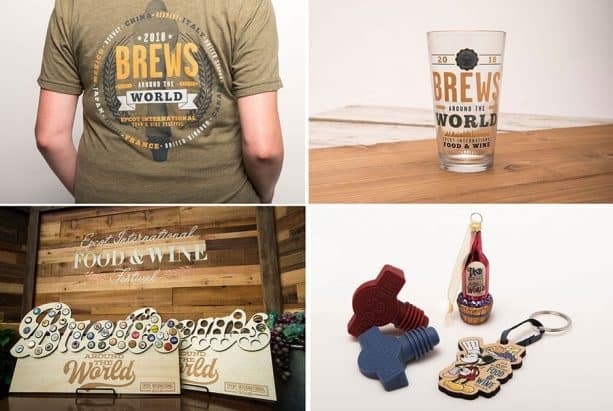 For craft beer lovers, the “Brews Around the World” collection features must-have apparel, barware, and accessories. Grab a coaster that doubles as an opener or display favorite bottle caps on a lettered sign. 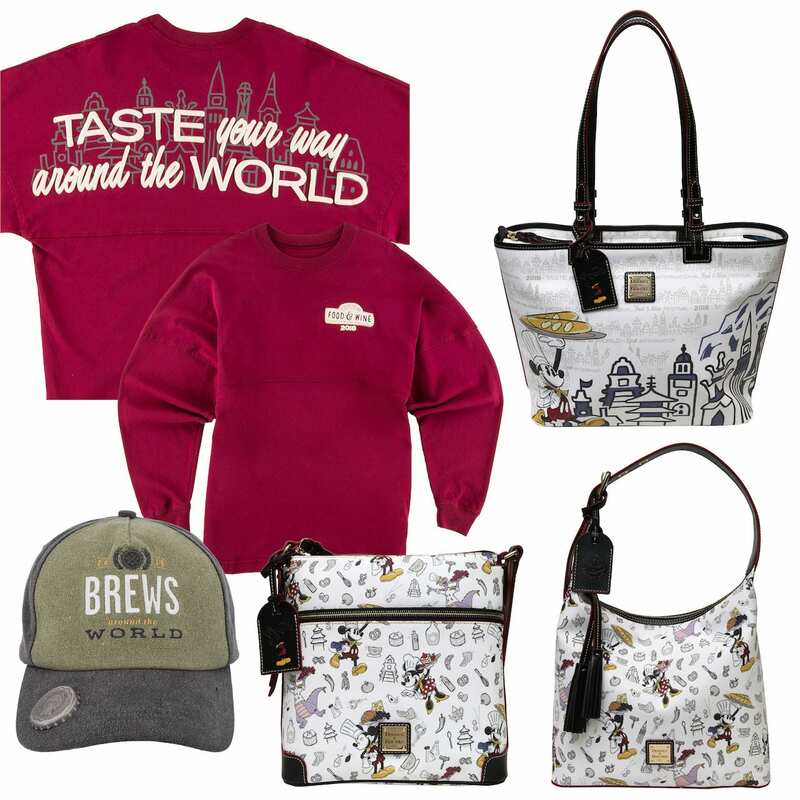 Guests planning the perfect outfit for a stroll around World Showcase can pair trendy apparel, such as a Spirit Jersey or cork-inspired headband, with a stylish handbag by Dooney & Bourke. 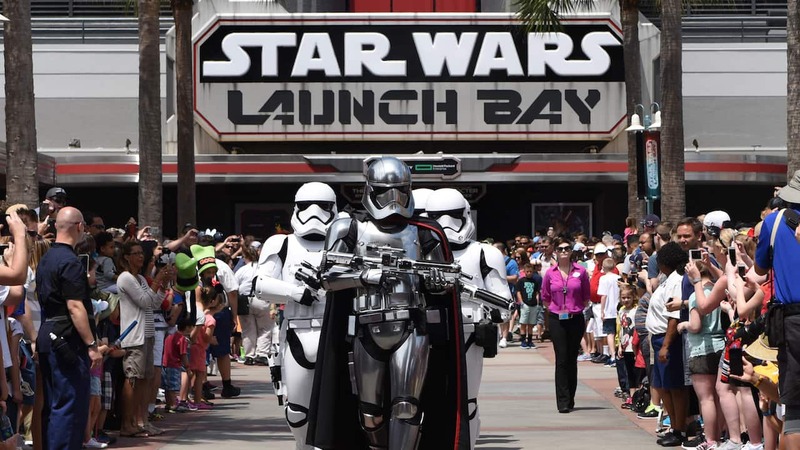 Annual Passholders will discover an exclusive handbag design along with several other treasures including a Raglan T-shirt, drinkware, and a limited release pin shaped like Spaceship Earth. 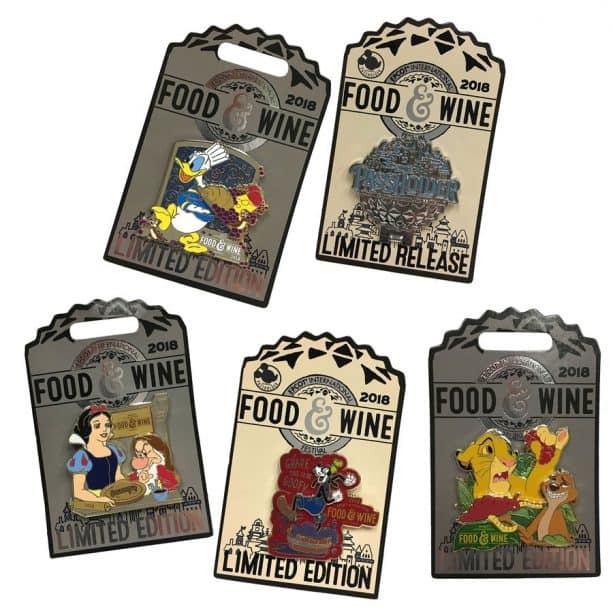 Pin collectors will delight with limited edition pins of kitchen-inspired scenes, from Snow White baking a personalized pie for Grumpy to Timon and Simba enjoying grubs. 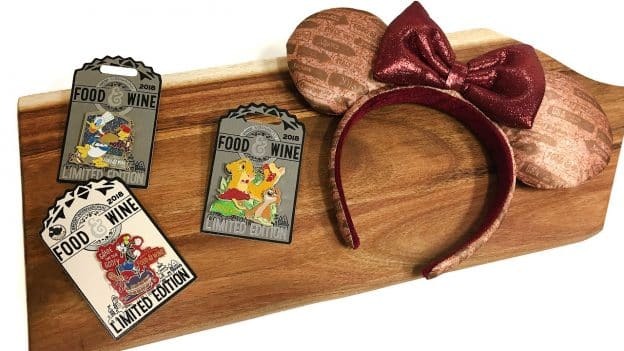 Look for these items and more, including the fan-favorite Remy’s Ratatouille Hide & Squeak scavenger hunt, at the Festival Center located adjacent to Mission: SPACE, and in select merchandise locations throughout Epcot. Is the pie plate oven safe? I got one and it says dishwasher and microwave safe on the bottom, but no mention of being oven safe or not. I would like to actually use it as a pie plate for baking pies. But apparently you (they) forgot to purchase enough because I wanted a Passholder t-shirt, but a mere two weeks into the festival they were out of my size! So disappointing, as that week was the only time we would be able to attend the festival. Also, my kids wanted one of the keepsake beakers from the Light Lab, and those were out as well. I am just not sure how that happens in the second week. Really sad about the t-shirt, though, as I have a collection of Passholder shirts from all the festivals over the past few years.